Frilly and Funkie is On The Runway, sewing and/or fashion and you have until Tuesday, May 6th to join us. 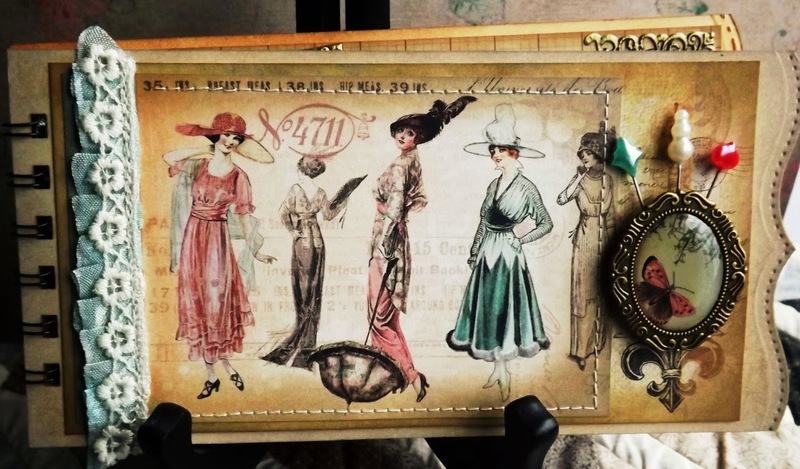 These Little Stylish Ladies are reviling the latish fashions for 1912. So come and walk with me through my little tag book. There’s a (Ton Of Pictures). The Funkie Junkie Boutique . 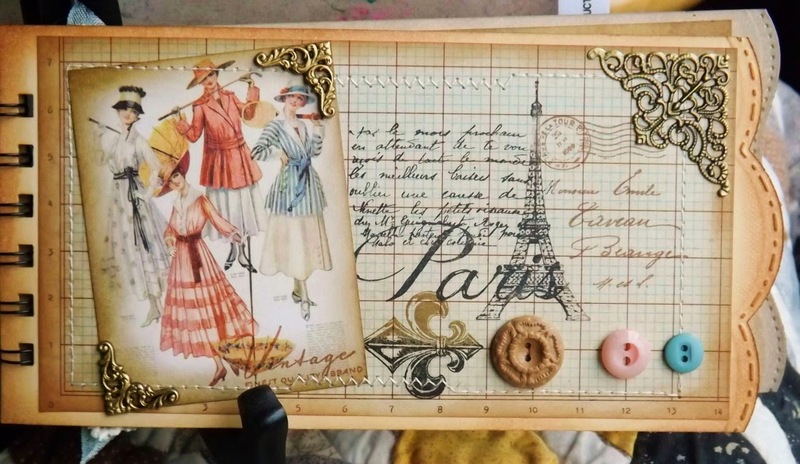 Hero Arts, Artsy Fartsy (Paris Postcard),TPC Studio, and Papertray Ink. Spellbinders Borderabilities Dies were used. Distress Inks and Archival Inks were used. Frilly and Funkie and join us in this fun challenge. Labels: Frilly and Funkie The Funkie Junkie Boutique Graphic 45 Papertray Ink. 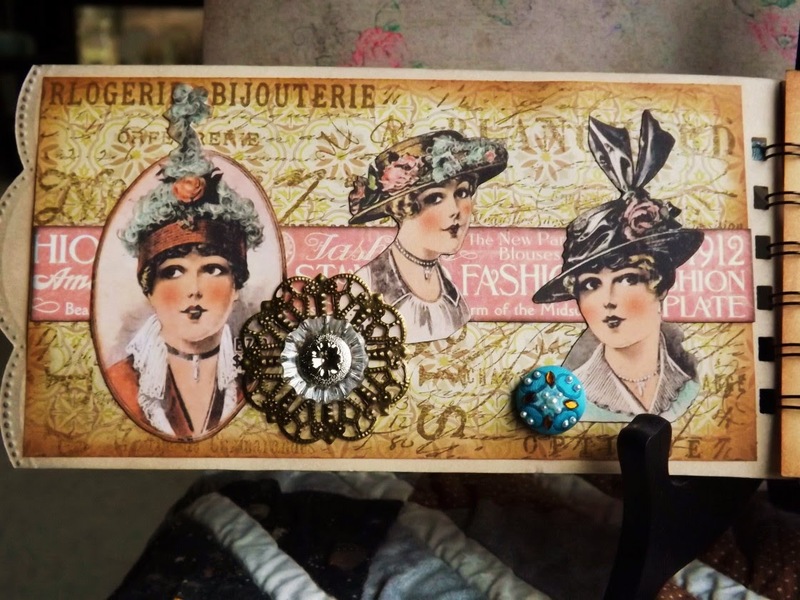 Gorgeous make for the challenge with all those wonderful vintage fashion images and the fabulous stamping. 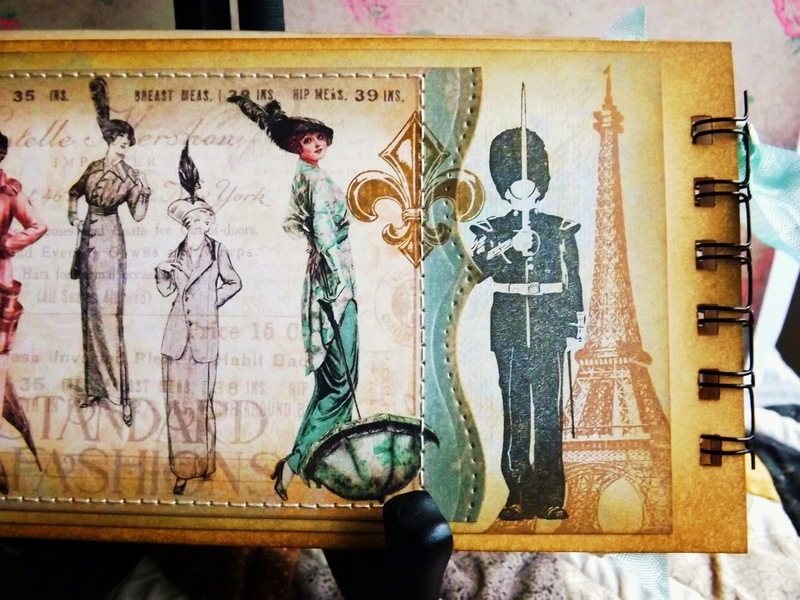 Your embellishments are added bonuses for every page. 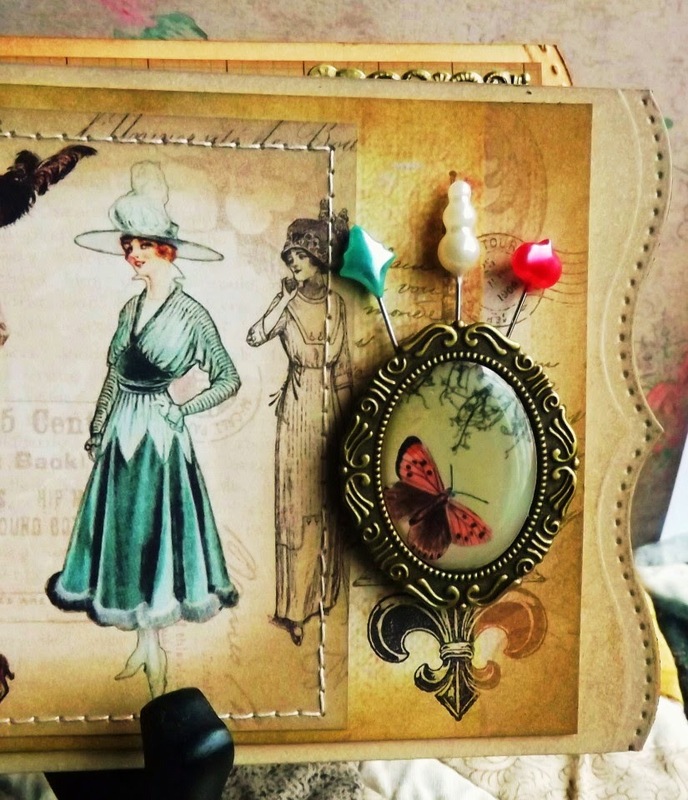 I am so glad you have joined us as Guest Designer at Frilly and Funkie. Oh Vada! 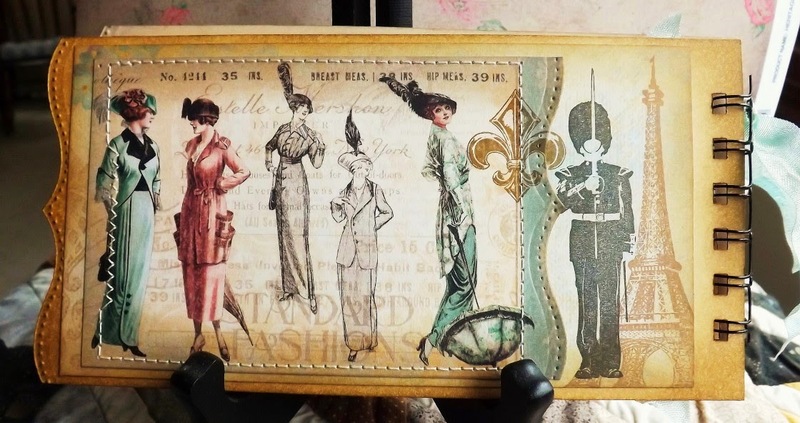 You've created a fabulous piece here! 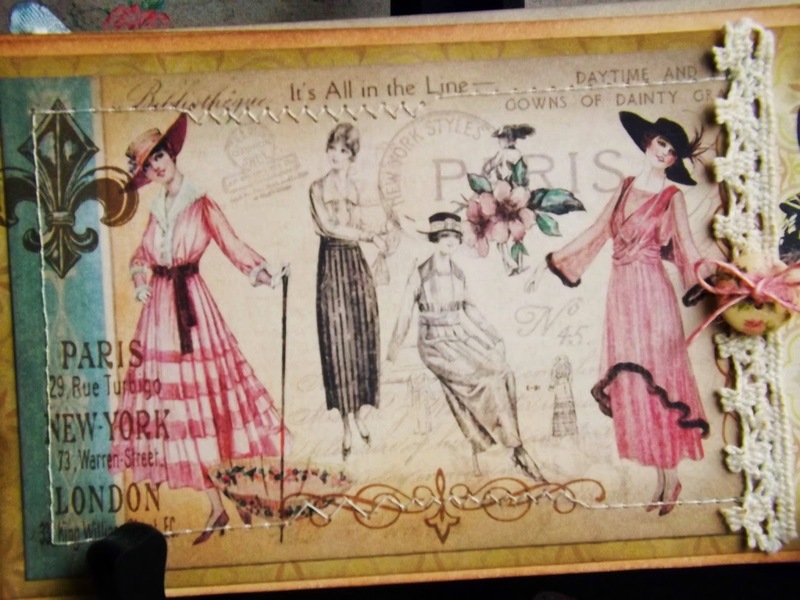 What beautiful papers and embellishments...and the wonderful idea behind it all. Wow there Miss Vada! You held back nothing with your "Runway" beauty. 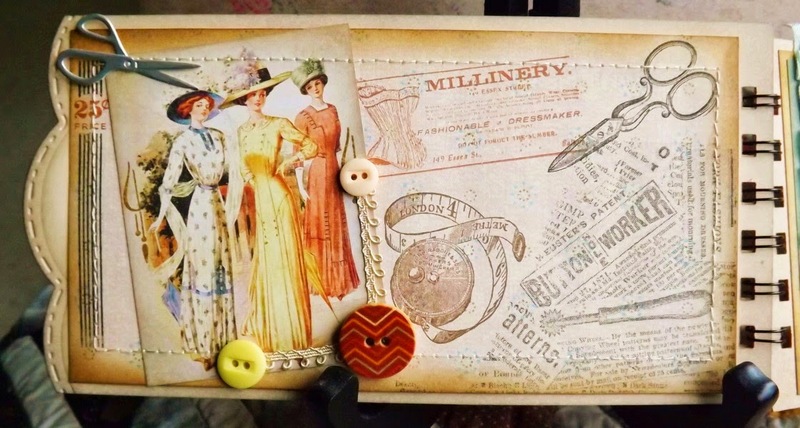 I love all the pages of vintage images and you even stitched it all up! You are a true artist! Hugs! 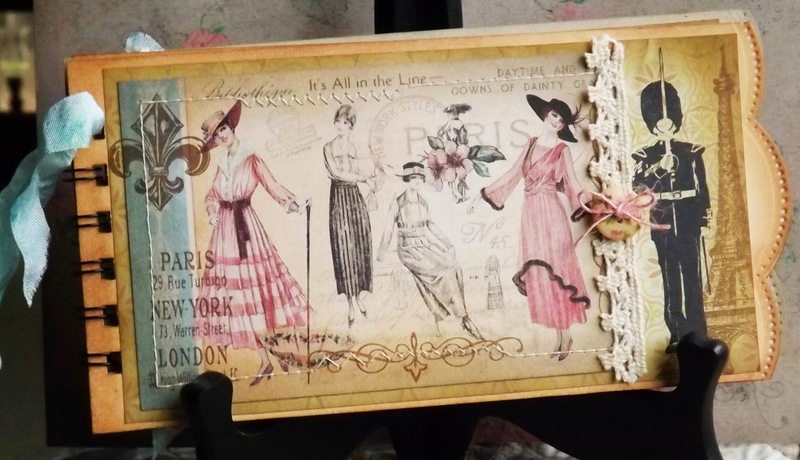 This is a most gorgeous Tag book, what a terrific creation. Just popping by to say thank you again for joining us this week as our special guest designer! What a gorgeous piece of eye candy you have created for our visitors to drool over. 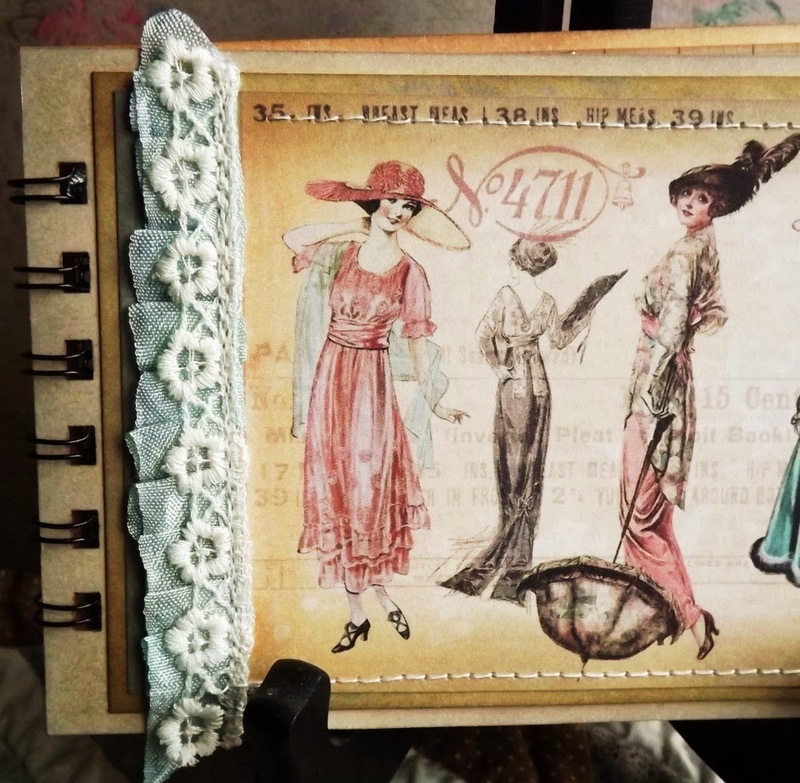 Seriously wonderful work with that Graphic 45 paper and so many yummy embellishments. I hope you had fun designing for us!